With world-class running trails located a short drive from downtown, Oak Mountain is a southern trail runner's dream and serves as the mecca for the local running community. Moab, Kauai, Boulder, Laguna Beach ... and Pelham, Alabama. Which one of these doesn’t belong? Well if you’re talking about Runner’s World Magazine's 25 Best Trail Runs in America, they’re all on the list. Pelham is right up there with some of the most iconic trail running destinations in the country. And you know what? Pelham is on the list for good reason. 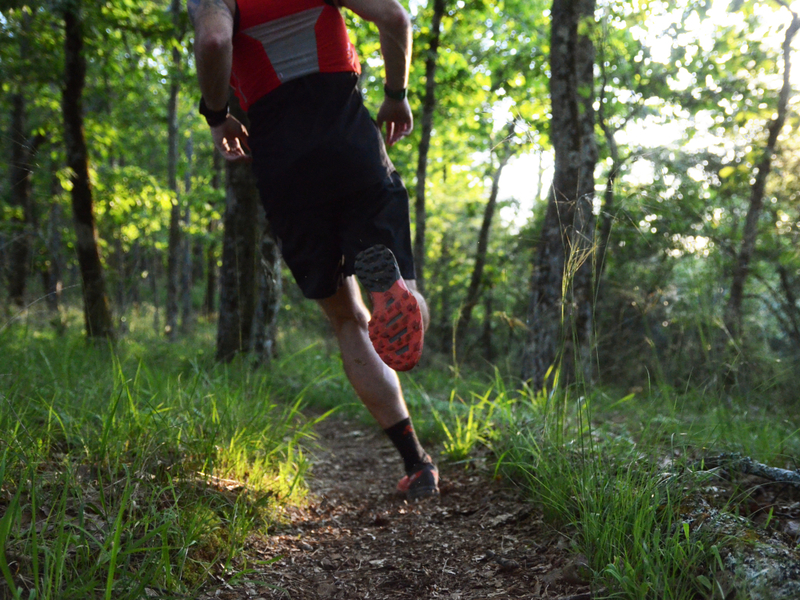 Within Pelham’s city limits, Oak Mountain State Park yields 51-miles of single track that will keep a trail runner busy for days with many route options that can be linked together for a run with a different character each time. At Oak Mountain State Park, you can explore a new combination each day, and you’ll turn those 51 miles into what feels like hundreds. (In a good way). There are so many trails to choose from, so each visit will be a completely different experience. It’s like having a new adventure every single run. With all the wildlife, birds and thriving vegetation, you won’t run out of things to see on your run. The huge trees provide a beautiful canopy overhead to shield you from the scorching sun in the summer. There’s everything from an easy 3-mile loop that winds around stunning Double Oak Lake, to a 17-mile backcountry loop with more than 1300 feet of elevation gain. Creeks, waterfalls, hardwood forests, pine-studded ridge lines, and rocky overlooks are just some of the highlights along the way. Want to get a little bit of everything crammed into one run? Start at the south trailhead and take the Lake Trail clockwise around the lake. Cross over the road at the end of the trail and take Seven Bridges to Camp Road. Turn right on this dirt road and then hang another quick right onto the Yellow Trail. 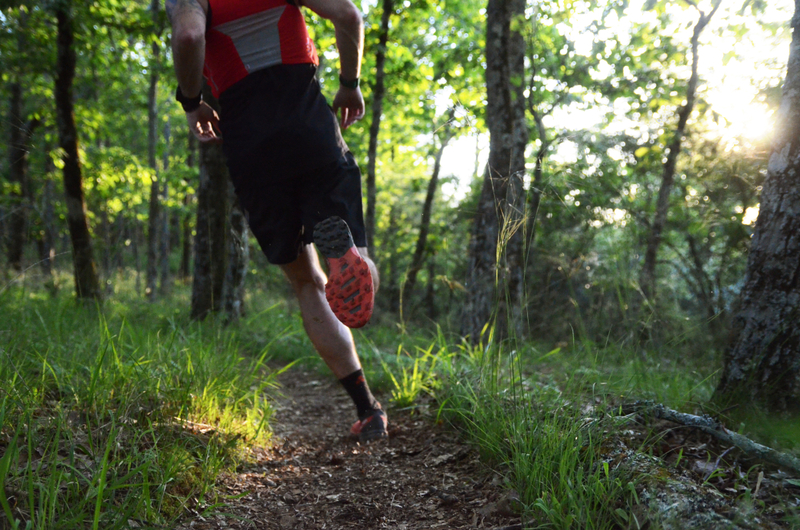 Follow this all the way back to the trailhead for an 8.5-mile taste of Oak Mountain trail running. Everyone will find that Oak Mountain State Park is fun and beautiful. This is a great place for solo runners without having to worry about safety. The trails area well-maintained with variation in elevation and terrain, so anyone training for a race or trying to get (or stay) fit will find this to be a worthy challenge. For the nature-lovers that are looking for a place to run that is a little more heavily wooded than their city sidewalks or urban greenspaces, this is the perfect place to find that peaceful solitude you’re looking for. You’ll leave refreshed and longing to return. Getting to Oak Mountain State Park is easy, and is clearly marked with signage. The easiest way to get there is to take I-65 S, then take exit 246 toward AL-119/Cahaba Valley Rd. Turn left onto Oak Mountain Park Road. Take a left onto John Findley Dr, then a right onto Terrace Dr. The park hours are 7 a.m. to 5 p.m. Admission is $4 per Adult (age 12 and over), $1 per Child (age 6 – 11) and $1 per Senior (age 62 and over). Children ages 5 and under are free.